INTENTIONAL PLANNING, CONSIDERED CURATION, INSPIRING USE OF COLOR & FIERCE EDITING. 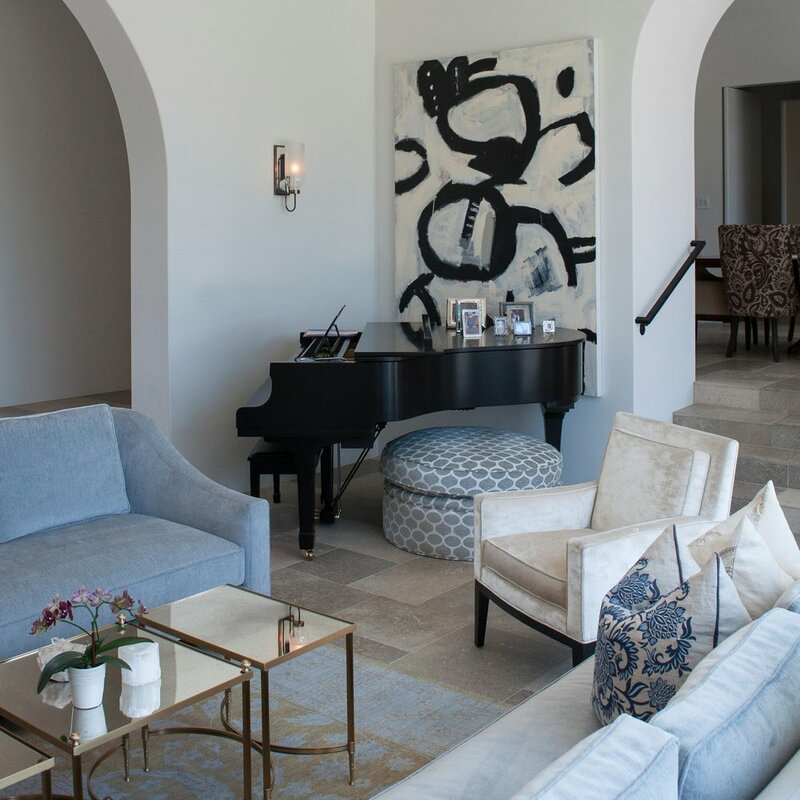 Andrea May Interior is a high-end residential interior design firm based in La Jolla, California. Our firm is predicated on the concept of Slow Luxe Design, which is like the farm-to-table of design. We tell our clients’ stories through thoughtful curation and mindful procurement of artisanal, vintage, antique and handcrafted items, along with some relentless editing. We work collaboratively with our clients, architects and craftsmen to create spaces that are sophisticated and inspiring, eclectic, timeless and completely livable. With our guided philosophy that a well-designed home can be the foundation for a wonderful life, we always strive to keep track of the human being in the spaces we design. THAT ARE INSPIRED, THOUGHTFUL & ACCESSIBLE. Andrea May Hunter/Gatherer specializes in whole home and estate projects, pouring our passion, energy and vision into the design process. From the first concept meeting to the final reveal, we work with our clients to ensure that their design goals are met every time. We work collaboratively with our clients, looking to them to provide a well-lit path to guide us along the way. We believe that successful projects are a combination of great communication, inspired vision, meticulous planning and execution and unparalleled service. We strive to create inheritable homes that reflect who our clients are, but we’re only one part of the equation. The magic is in a collaborative client-designer partnership. We truly value the opportunity to get to know our clients and manage their projects. It’s in this partnership that we come together to create something that authentically and uniquely tells their stories. We love what we do and we weave this into every single project and every single client relationship. Award-winning designer and color consultant, Andrea May, made the transition from writer to interior designer in a seamless fashion. Her creative vision and style pairs beautifully with an innate ability to tell stories through the artful lens of vintage, modern and classic elements. 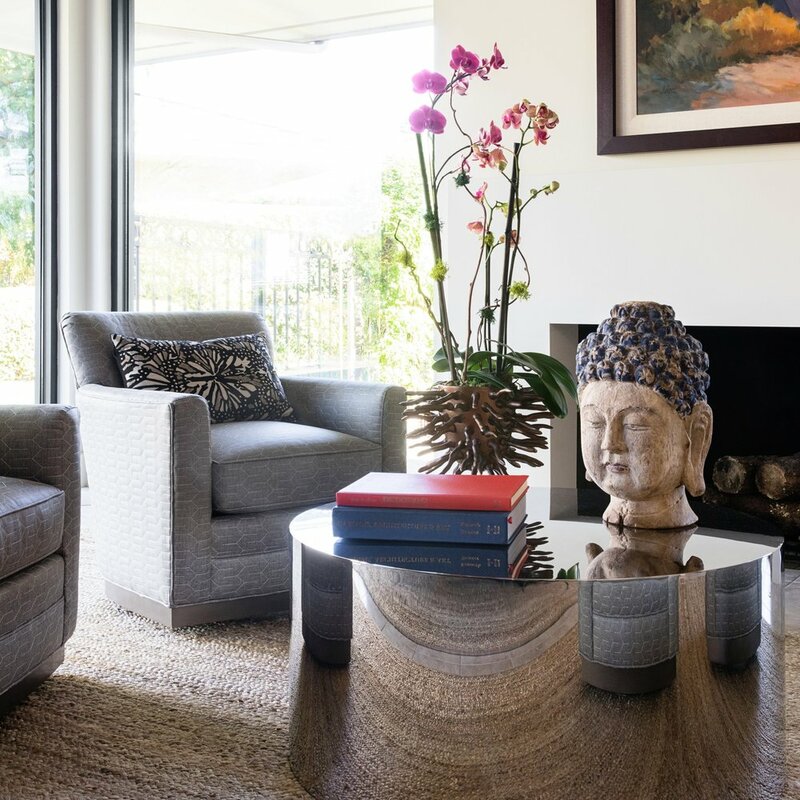 Andrea May Interiors, a boutique residential interior design firm, opened its doors in La Jolla, CA in 2004. Through her client relationships and creative projects, Andrea always strives to create big-hearted, warm and welcoming spaces for her clients, imbued with unexpected elements and well-considered details. Her personalized, collaborative process and curatorial approach result in an offbeat style that’s timeless, modern and always livable. Acclaimed for interiors that are beautifully curated and collected to create rich and colorful spaces with lots of interest, Andrea works tirelessly to ensure that her clients’ dreams and needs are fulfilled and, by far, exceeded. Andrea is a certified interior designer in the state of California, a certified color consultant, an associate member of ASID, and is an active member of the San Diego design community, serving on the board of The Design League of San Diego.